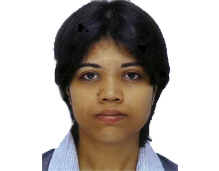 Jayita Sarkar is a doctoral candidate at the Graduate Institute of International and Development Studies in Geneva. She holds a Masters in Sociology from the University of Paris IV-Sorbonne and another in International Relations with specialization in Peace and Conflict Studies from Jadavpur University in Calcutta. She is a visiting fellow at the IDSA for the summer months of June – August 2011 as part of the ongoing National Strategy Project and IDSA's Nuclear Cluster. Her research interests include nuclear histories, strategic cultures, grand strategies and theories of international relations.